Synthetic Turf is an attractive alternative to a water hungry lawn. 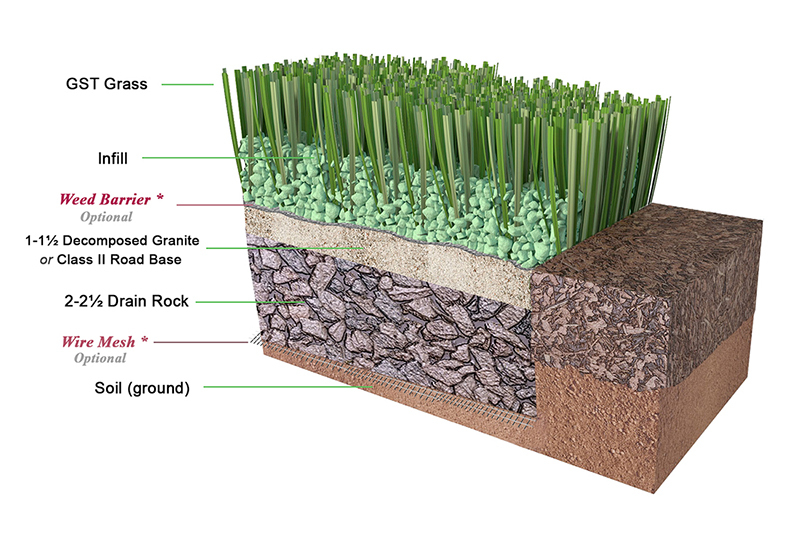 There are several environmental benefits to installing synthetic turf. Chief among them are the water savings, and reduced ongoing maintenance requirements. If you install synthetic turf, you can eliminate the need for a sprinkler system. Not only will this reduce the water need for you beautiful yard, it means you don’t have to have that system repaired as sprinkler heads get broken and the system begins to leak. Another huge benefit is the fact that you NEVER HAVE TO MOW your yard again! Think of how much work you will save in the long term after your turf is installed and looking great year after year. There are some things you need to watch out for if considering the installation of artificial turf grass. Some manufactures have been discovered to allow lead into their turf products. This is unthinkable for any installation. All of our turf products are free of lead. Make sure that WHEREVER you choose to buy your turf, that you insist on lead free turf. The other thing to consider when installing your synthetic turf, is what type of infill material to use. The turf will be nailed down, but there is also an infill material installed and brushed into the turf to hold it in place and give it a better performance and feel. Most often this is done with sand. Some people are now using zeolite based products to help cool the turf and to eliminate the concern some have of pet odors building up in the turf! DO NOT USE TIRE CRUMB!!! There are several stories circulating the internet out about the potential toxicity of using crumb rubber as an infill material for synthetic turf. Due to the risks associated with crumb rubber, we do not recommend it for your infill material.